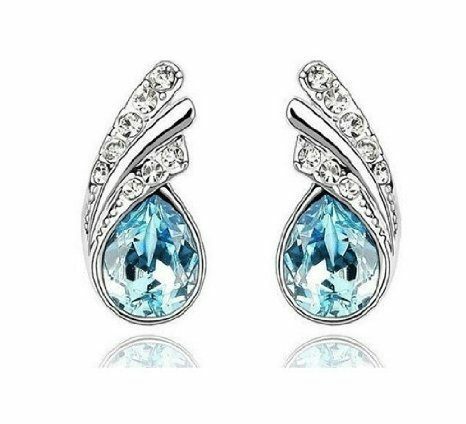 Austrian Crystal Teardrop Stud Earrings Only $5.69 SHIPPED! You are here: Home / Great Deals / Amazon Deals / Austrian Crystal Teardrop Stud Earrings Only $5.69 SHIPPED! Check out these GORGEOUS earrings! These Austrian Crystal Teardrop Stud Earrings are only $5.69 right now with FREE shipping! I love how sparkly and pretty they are! I wish I had my ears pierced so I could get them!